Kuwait, 24 April 2018: Premier lifestyle retail company AZADEA Group continues to expand its retail presence and investment in premium ‘mega mall’ locations across the Middle East and North Africa region. The Group announced 11 new store openings in the eagerly-awaited Al Kout Mall. The new stores bring AZADEA Group’s footprint to 76 stores across Kuwait, covering 32,000 sqm of total space area nationally. In Kuwait, Al Kout Mall has been billed as the country’s largest waterfront retail and leisure destination, featuring contemporary spaces with modern Arabic design. 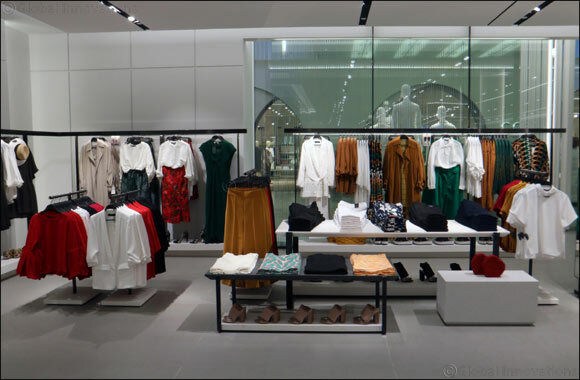 AZADEA Group’s stores include some of the premium brands the regional retail group operates such as ZARA, Zara Home, Bershka, Massimo Dutti, Pull & Bear, Stradivarius, Uterq�e, Oysho, Calzedonia, Sunglass Hut, IAM and KIKO Milano. The AZADEA Group has been operating across the MENA region for 40 years, and currently represents over 50 well-known, contemporary lifestyle brands in 13 markets. The group is recognized for its deep understanding of the region’s retail landscape, and enjoys long-standing partnerships with both franchisor brands and its supplier as partners.